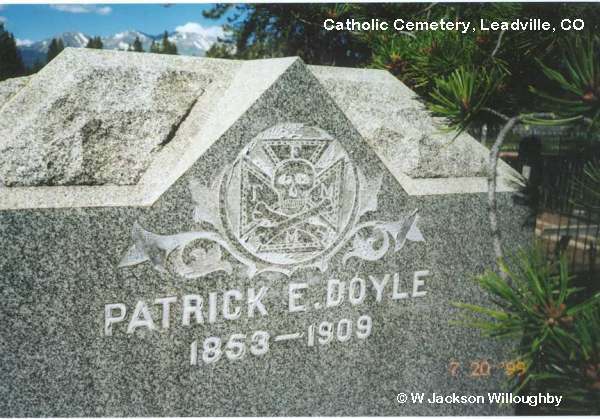 Great-grandson, Jack Willoughby, contributer of the photograph states that the symbol on the gravestone "is a replica of the Knights of Columbus banner. 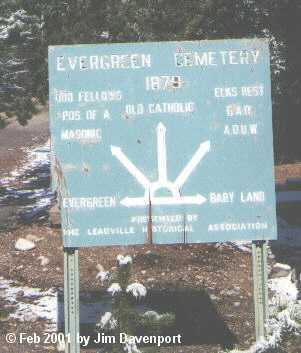 The letters at the ends of the cross-arms are T.F.M.M. which stand for Tempus Fugit Momento Mori (Time flies, remember death)."